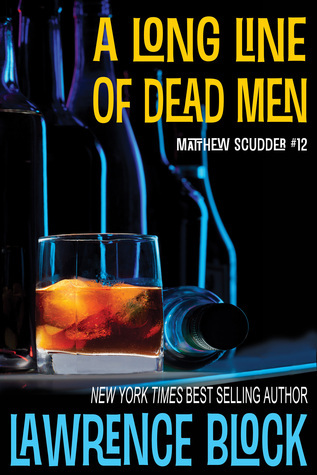 Unlicensed detective Matt Scudder is hired by a member of a secret group of men who meet once a year to discuss progress made in their lives. In 1961, the group started out strong with thirty-one members and now, some thirty years later, they’re down to fourteen. It doesn’t seem uncommon – people die all the time – but when you look at the circumstances behind a select few deaths, it sure looks like someone has certain members in their cross-hairs. Murders, suicides, accidents – they all add up. Can Scudder prove that someone is knocking them off like proverbial ducks in a carnival game? Scudder is trapped between a rock and a hard place. While Scudder thinks one of the best options is to get the police involved, the members wish to stay under the radar and would rather not be subjected to the inevitable media circus that would come with thrusting the club of thirty-one into the public eye. With that option out, Scudder has to rely on his ingenuity and good old detective skills to crack the case – which has never been a problem before. However, unfortunately for Scudder, he doesn’t even know where to begin. In one of the best parts of the novel, Scudder shares an evening with his friend and feared New York gangster Mick Ballou as they chat about growing up with their fathers and a multitude of other topics. If for some reason Block felt compelled to write a novel that was just a conversation between Scudder and Ballou, it would be welcomed by this reader. The villain reminded me of James Leo Motley, the murderous psychopath from Block’s eighth Scudder novel, A Ticket to the Boneyard. While the ending isn’t typical of a Scudder novel, it’s wholly satisfying and sticks out as one of the more memorable conclusions in the entire series. I was grinning from ear to ear. You will not be disappointed.